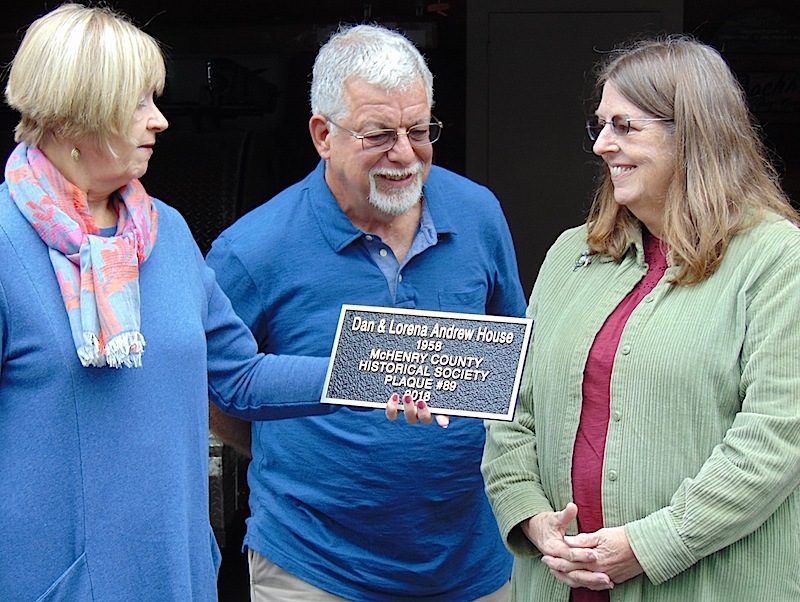 Members of the McHenry County Historical Society and its Historic Sites Committee gathered Saturday, Sept. 29, for the plaquing of historic Dan and Lorena Andrew House at 411 Lawndale Ave. in Woodstock. Ray Bock said it was the home’s uniqueness and pedigree which prompted he and his wife, Cindy, buy it in December 2000.. Not only is it an excellent example of Prairie Style design, its celebrity stems from the architect original owners, Dan and Lorena Andrew, hired to design it. Dan Andrew moved to Woodstock in 1925, served in World War II and the Korean War, was very involved in the Woodstock community and worked at the Woodstock family business – the feedmill R.O. Andrew Co. He and his wife traveled worldwide, which may have influenced Lorena’s eye for landscaping. Her work earned this home the Tri-Color Landscaping Award. Much of her original landscaping still exists around the home. 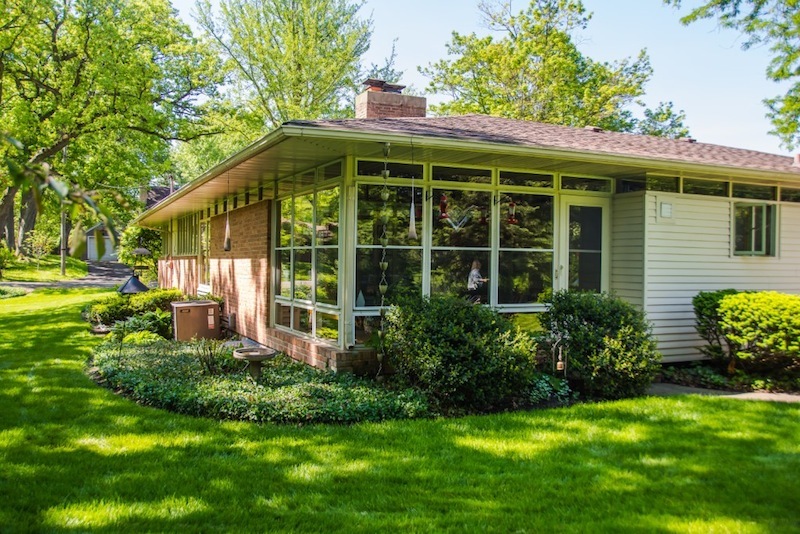 This low-slung 1958 house is defined on the exterior by its clean horizontal lines. Large three- foot overhangs and a low-pitched roof appear to float, supported only by narrow glass transoms. Rows of windows give the appearance of glass walls, while simple materials clad the exterior. 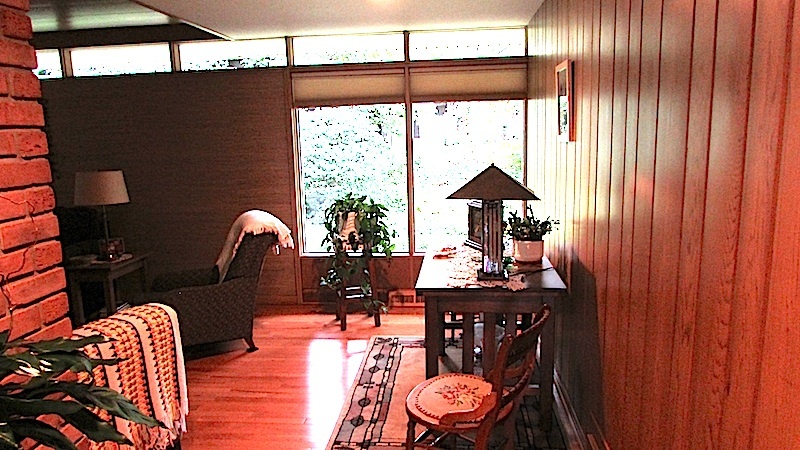 The heart of this house, with its open flowing space, can be found in the living room. 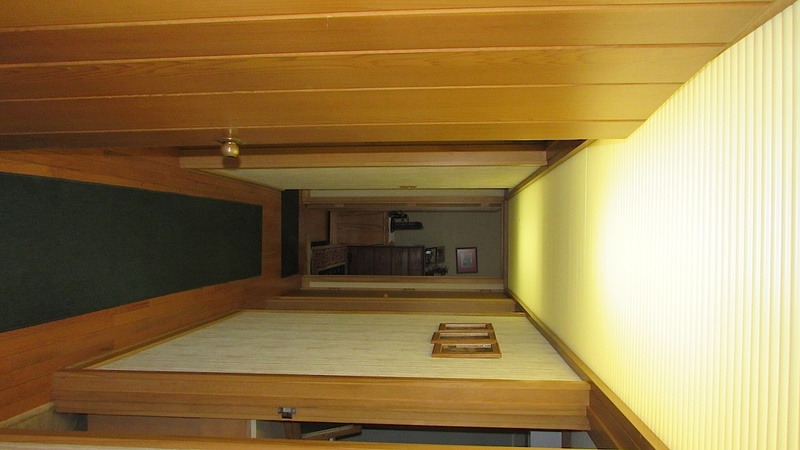 It features a wood clapboard ceiling and centrally located see-through fireplace. The kitchen, dining and laundry rooms abound with unique cabinetry and built-in furniture, all stained in natural colors, to let the character of wood show through. Pockets doors and folding doors help maintain an openness to the home, yet the public and private areas clearly are separated. Custom natural woodwork, precise decoration, original brass hardware, unique lighting, and even louvered vents below the windows, all add up to the making of this true Prairie Style home. The 60-year-old Andrew house was created by Woodstock architect William Fyfe. 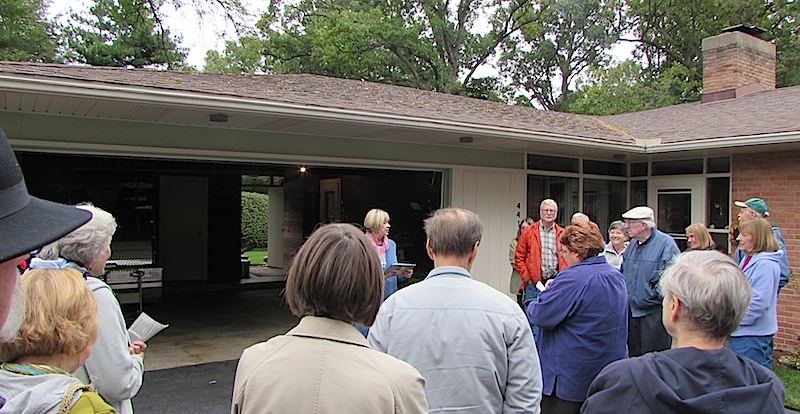 Fyfe grew up in Oak Park, where he was surrounded and inspired by many Wright-designed homes. After graduating from Yale’s School of Architecture in 1932, Oak Park’s inspiration led him to become one of Wright’s first apprentices at Taliesin in Spring Green, Wis. – Wight’s studio and school. In 1935, Fyfe moved to Woodstock. Through the years he designed several Wright-inspired houses in the area. He also went on to design many public buildings in Park Forest, Woodstock, Harvard, Rockford, Bellwood, and Chicago. His most enduring legacy was the master plan for Calvin College in Grand Rapids, Mich.
Plaquing a historic site or structure is an excellent means of calling attention to the heritage of McHenry County. Once plaqued, the plaque will remain with and on the structure or site – unless drastic alternations undermine its original intent. • Plaquing does not make the site eligible for reductions in property taxes. However, hIstoric preservation tax incentives are offered through the state and federal governments. • It is not a legal proceeding, and thus does not interfere with the buying and selling of the property. • Plaquing also does not require you to open the site or structure to the public. • Plaquing does not prohibit the owner from altering the structure or site (i.e., remodeling or additions). For additional information, visit www.gothistory.org.